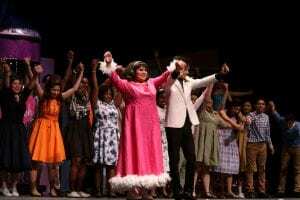 Roosevelt Theatre Company strikes again with the timeless musical Hairspray for the first production of 2019. Performances included compelling acting from the cast, intricate dances, and powerful vocals. 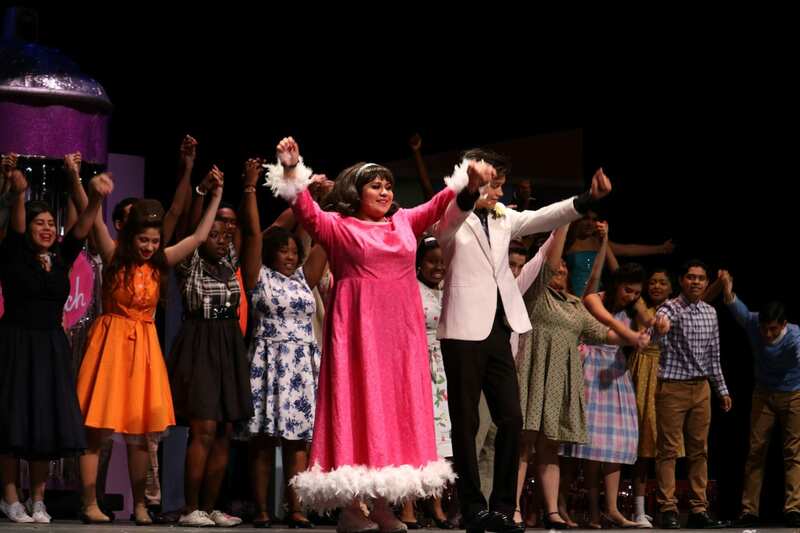 The company of Hairspray takes a bow at the final curtain call of the production. The production ran on January 24, 25, 26 in the Roosevelt auditorium. The musical highlighted themes of prejudice and freedom of speech while highlighting individuality taking place in Baltimore of the 1960s. “In my opinion [in] the movie there’s a lot of extra things that could distract you from the true messages, but in the play in those few scenes you can really focus on what’s going on,” Levy said. The company practiced for three months including learning choreography, acting scenes, and new music.